﻿ Book Hotel Bahia Suites (Panama City) - 2019 PRICES FROM $66! Featuring a rooftop swimming pool with a terrace, this hotel offers free Wi-Fi. Hotel Bahía Suites has a restaurant with views of Panama’s Bay. 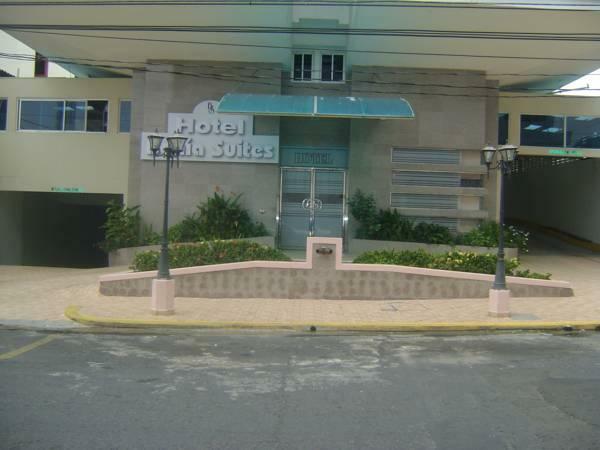 Located just 1 block from the city’s main avenues, the Bahía Suites offers air-conditioned rooms with Cable TV and private bathroom. 24-hour room service is included. The hotel also comes with laundry facilities. Staff at the reception provide tourist information and can book city tours and trips. For business the property also offers meeting rooms for up to 30 people with audio and visual equipment. The Ancon Hill is 1.9 mi away, while Fort Clayton is a 20-minute drive. Panama center is less than 10 minutes by car. A basic breakfast is offered, which consists of bread, fruits, cereals and juice. We arrived, and though the attendant at the desk had not received the notice from Agoda, she checked us in using the receipt from the computer. We received a good clean room, this is not a 5 star hotel, but we didn't pay for a 5 star hotel. The staff was nice, the room was clean, and the location was good! We went up to see the pool, but we didn't swim. The pool is very small. We didn't have breakfast so can not comment. We were very happy with this hotel, but probably would stay somewhere else just to see a different part of the city. O.... Any the hotel is right next to the Subway entrance. $0.35 to get on the subway... Took the subway direct to the bus terminal where we got a bus for $3.50 to Colon. And, it was a NICE BUS. Not one of those Old School busses. The area immediately surrounding this hotel is sketchy if not downright dangerous. This isn't the worst area in Panama City but definitely wouldn't choose to stay here again. The price was ok but you can find better, safer places to stay for very little more money in much better safer parts of town. The hotel is not located in the most desirable location, but we enjoyed our stay. The taxis are pretty cheap. Negotiate before you get in. The cruise on the Panama Canal is a must!! With Canal & Bay Tours a bus picks you up at your hotel in the morning and the boat leaves around 9am. The hotel staff is friendly, talk to them about some different trips. When we arrived the afternoon receptionist was less than friendly and could not offer any help in relation to areas to visit and activities. By contrast the next morning receptionist was amazing - she offered information in relation to all our questions. She had a wonderful personality, a bright smile and was extremely helpful whenever we met her.